Crunchyroll - Groups - IchiRuki Fanclub! CR / Group / IchiRuki Fanclub! / Forum / IchiRuki or RenRuki?
? Other couples are welcome! I just want your oppinions! Wow, havn\'t been on here forever! yeahh i mean ichiruki will always be number one! but there was a time when i was almost renruki :O it was around the time when ichigo was worring ALOT about orhime when she was "kidnapped"... and it was really cute when rukia was flung backwards and before she hit the wall renji jumped behind her and get the full force of it! ohhh bless his soul.... he's soo cute... but ichiruki IS GOING TO HAPPEN! (or i will sue) even if its at the end, its gonna happen... but i do feel srry for renji... poor guy... whoa this is a long explaination.. :? 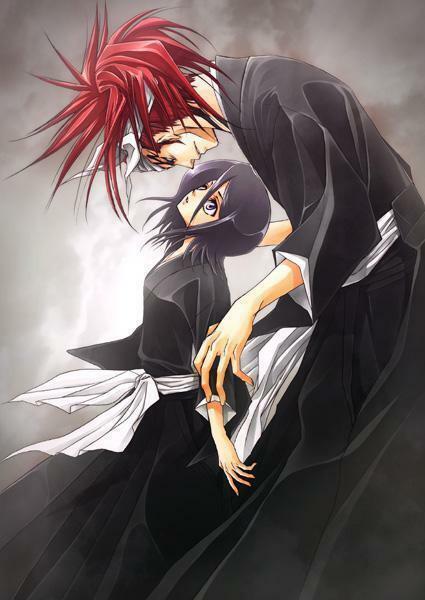 I really know that you like Renji.. And I already said to you that I don't like him because of that.. So, if you're asking me about that.. I would still go for Ichiruki.. It seems that Renji's love for Rukia is like sibblings' love and same through with Rukia.. That's only my understanding about their relationship..
Anyways.. does someone here own a BA account?! I do own one..
RenRuki is cute but I think in sibling kinda way.